The Walton Healthcare EMBA allows students to develop specialized expertise in healthcare administration while learning to apply best practices from other industries. You don't have time to stop the rest of your life while you get an MBA. We had your work-life balance in mind when we designed the Walton Healthcare Executive MBA program. You'll attend classes just one Saturday a month for two years. The healthcare courses are developed and delivered by our partner school, the University of Arkansas for Medical Sciences. Is work experience required? How much does the program cost? How can I pay the application fee? What happens if I turn in my application late? **A GMAT/GRE waiver is available for select candidates with quality work experience and a strong prior academic record. The Walton Healthcare EMBA is designed to serve those students who desire to develop a specialized level of expertise in health care administration while completing a full MBA degree. The healthcare course offerings are designed and will be delivered by the University of Arkansas for Medical Sciences in partnership with the Walton College. This program is specifically designed for physicians and other clinicians who wish to prepare themselves for managerial roles and for individuals interested in moving into healthcare management as well as for those who realize the need for specific healthcare expertise to benefit them in their current roles. Opportunities to grow don’t end with the classroom. Students will enhance their understanding of the business and cultural environments of prominent emerging markets through overseas projects in Global Business. EMBA students also participate in our award-winning entrepreneurship program, professional development with industry experts, and networking with extraordinary corporate connections. When trying to decide if getting your MBA is the next step to furthering your career, what often comes to mind is family. How can you take the leap into a program without the confidence that it won’t derail the life and career you’ve worked so hard to build? You know you don’t have time to stop the rest of your life while you get an MBA. Well guess what? We had your work-life balance in mind when we designed the Walton Healthcare EMBA program. Our Healthcare EMBA program is built around your life, your career, and your study preferences. Your courses are available to you anywhere, anytime. With face-to-face class days organized just one Saturday a month, you can plan your schedule up to a year in advance. Our faculty make sure you know what your assignments are well ahead of time, giving you the ability to plan your courses around your work schedule. In collaboration with UAMS, the program was built to fit into your busy schedule. Our innovative, part-time program leverages classroom instruction with online learning activities and interactive team-based problem solving. To complete the 44-hour program, our students attend classes part time, normally just one Saturday per month for two years. Even when classes are not in session, you have access to all of the Walton College’s learning resources from anywhere in the world through our extensive technology services and support. GMAT or GRE score - Please Note: A GMAT/GRE waiver is available for select Executive MBA candidates. If you have at least five years of quality work experience and a strong prior academic record, you may be eligible. Please contact us for more details. A GMAT/GRE waiver is available for select Healthcare Executive MBA candidates. If you have at least five years of quality work experience and a strong prior academic record, you may be eligible for a waiver. Please contact us for more details. Yes. Healthcare Executive MBA students complete the first course in the program, Introduction to Strategy, during orientation. Participation is required. 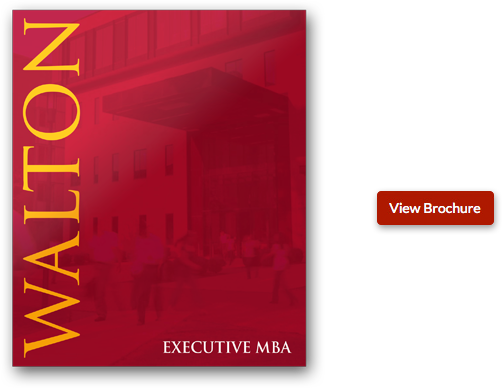 A minimum of two years previous work experience is typically required for admission to the Walton Executive MBA program. A GMAT/GRE waiver is available for select Executive MBA candidates. If you have at least five years of quality work experience and a strong prior academic record, you may be eligible for a waiver. Please contact us for more details. How much does the Healthcare Executive MBA program cost? We recommend you ask current and/or former supervisors who know you and your potential well. Other professional references may also be appropriate. What happens if I turn in my application past the program deadline? Applications that arrive after the official deadline will be considered on a space-available basis. Email gsb@walton.uark.edu to find out the current status of the next Executive MBA cohort. We use a rolling admission process1 for the Executive MBA program. 1Rolling Admissions Process: A rolling admission process means that we review and make decisions on received applications periodically and before the final deadline. While some seats are held till the end of the deadline, applicants are encouraged to apply as early as possible. 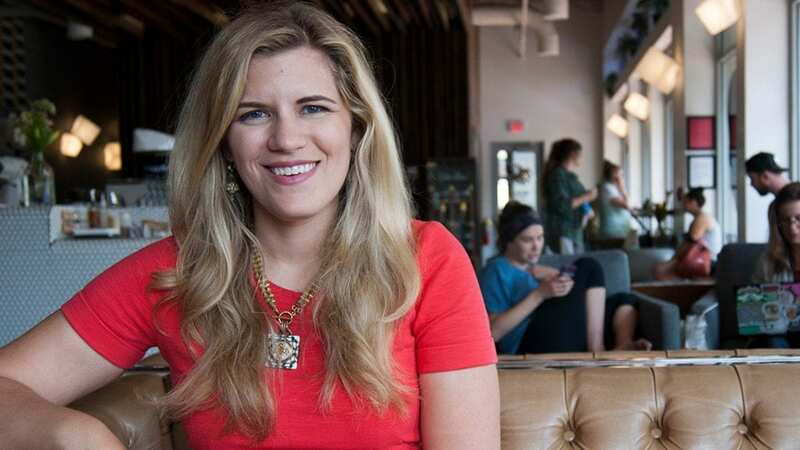 Can I take the GMAT or GRE after the application deadline? Yes, you can take the GMAT or GRE after the application deadline. However, your application will not be considered complete, and an admissions decision cannot be made, until we have received your test score. Applicants with at least five years of quality business experience and a strong academic record will be considered for a GMAT or GRE waiver as part of a full application review. What does AACSB accreditation mean to me? AACSB or the Association to Advance Collegiate Schools of Business is the premier accreditation institution for business schools around the world. Nearly 600 institutions worldwide have the accreditation. As an accredited institution, we must follow a set of strict guidelines governing faculty and academic quality, meaning that your degree will be more valuable to both you and your future employer. To learn more about AACSB and what it can do for you see bestbizschools. What are the laptop requirements for the program? Does the Healthcare EMBA program start in the Spring or the Fall? 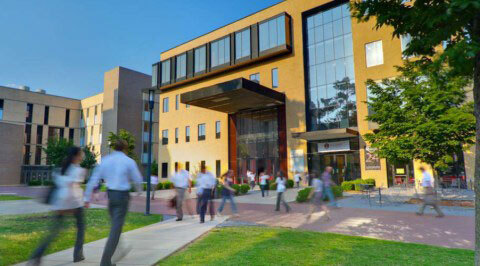 The Healthcare EMBA program begins at the end of May. Recently the Wall Street Journal carried an article about the decline in applications to M.B.A. programs in the United States. While there were some nuances in the article that many readers missed (for instance the vast proportion of the decline in applications was the result of a reduction of foreign applicants), it is a fact that some M.B.A. programs have been struggling.